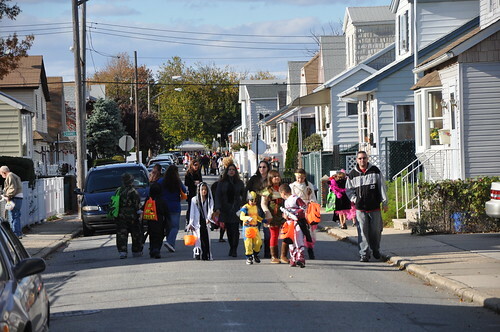 We spent most of our time in the New Section because of those silly sidewalks which make trick or treating safer. Neighbors were surprised at the amount of familys and large groups. 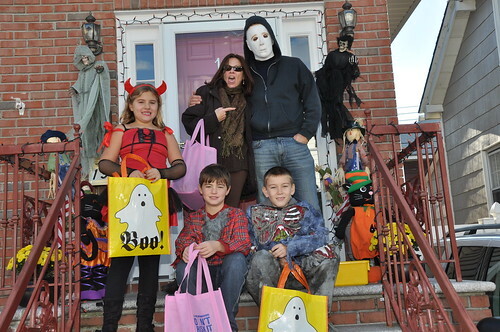 They said they ran out of candy early despite having hundreds of bags of candy. I have to say, on those narrow blocks in the old section cars were VERY slow and careful. Some of them slowed and not only kept an eye on where the kids were for safety but got a giggle from the cute costumes. On the courts in the old section is was perfectly pleasant and safe. Elsewhere, however, is a very different story. 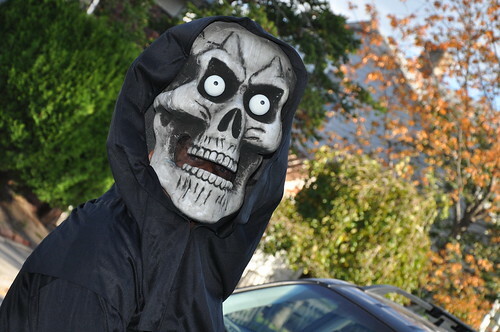 i trick or treated in the old section and it was FANTASTIC!!!! some of the best candy was on the dead end blocks!!! 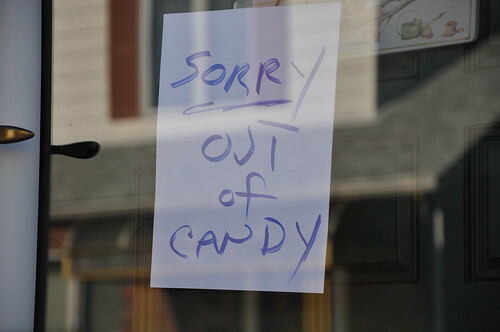 Aw, I wish more kids had come by me; I have a LOT of candy left over!